Review: 2012-05-15, even with the KO (UFC Knockout of the Night) in the first round, the fight between Jason MacDonald and Tom Lawlor isn’t worth our three stars. Jason MacDonald entered the fight with a record of 25-15-0 while Tom Lawlor had a record of 7-4-0. 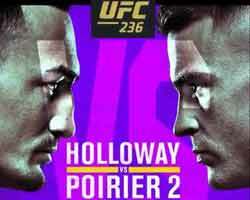 MacDonald vs Lawlor is on the undercard of Chan Sung Jung vs Dustin Poirier (UFC on Fuel TV 3). Rate the video!